DU QUOIN, Ill. (December 4, 2017) — Racing champions Chase Briscoe and Shane Cottle are among the 30, thus far, early entries for the Saturday, December 16th “Junior Knepper 55” USAC Midget special event at the Southern Illinois Center. Briscoe, of Mitchell, Indiana, is the 2016 ARCA champ and recently wrapped up NASCAR Camping World Truck Series Rookie of the Year honors and his first series win in the finale at Homestead-Miami (Fla.) Speedway in November. Briscoe is certainly no rookie when it comes to open wheel dirt track racing where he cut his teeth before moving into the NASCAR ranks. 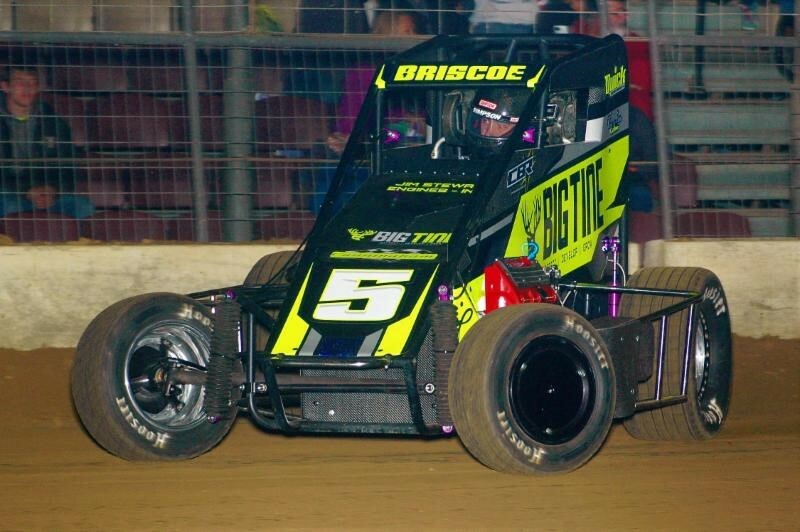 Briscoe made his midget racing debut at the “Knepper 55” one year ago, finishing 17th. Briscoe will compete in his own No. 5 in his second “Knepper 55” appearance. Two-time Indiana Midget Week champ and four-time Kokomo Speedway titlist Shane Cottle has entered the event for a team fielded by Daryl Saucier and Shane Hmiel. It was with Saucier for whom Cottle won his two most recent USAC Midget features, back in 2007 at Gas City (Ind.) I-69 Speedway and in 2010 at Bloomington (Ind.) Speedway. In March of 2016 at the Southern Illinois Center, Cottle, of Kokomo, Ind., led 28 laps and finished second at the “Shamrock Classic” drivng for Hmiel. Third-place “Knepper 55” finisher Chris Andrews of Oklahoma is entered along with Tony Bruce, Jr. (6th), Nick Drake (14th) and Daniel Adler (20th). Jim Neuman has entered three cars for Jake Neuman, late model standout Brian Shirley and Austin Blair. Philo, Illinois driver Kyle Schuett, the 2015 “Indy Invitational” victor, aims to repeat his indoor racing success from a few years back while Chris Ursih, of Elkhart, Illinois, has already tamed the “Magic Mile” at the Du Quoin State Fairgrounds in a USAC Silver Crown car back in 2013, but hopes to bring the magic indoors in his Tom Casson-owned No. 77u. The Knepper family is once again sponsoring FREE entry for competitors to enter their midgets for the Saturday, December 16th “Junior Knepper 55” USAC Special Event at the Southern Illinois Center in Du Quoin, Illinois. After visiting https://usacracing.ticketspice.com/2017-knepper-car-entry/, use the coupon code “KNEPPER” to enter your car for the race at no charge. The offer expires Sunday, December 10th, 2017. The complete pre-entry list for the event will be published the following day, Monday, December 11th. Additionally, tickets are now on sale for the 3rd annual “Junior Knepper 55” at http://www.usactickets.com/. The race will serve as the final event of the 2017 USAC racing season. Adult general admission tickets are available for just $18 in advance compared to the $20 price at the gate on race day. Furthermore, on http://www.usactickets.com/, you may order your “Junior Knepper 55” event t-shirt now for just $25. Sizes small through 4XL are available, but make sure to get yours soon while supplies last. Cars are scheduled to hit the track at 4pm (Central). A format utilizing passing points will be used to seed the feature lineups. The event will be streamed LIVE on http://www.SpeedShiftTV.com/. You can also catch on-demand coverage of the event a day after the race on http://www.Loudpedal.TV/.